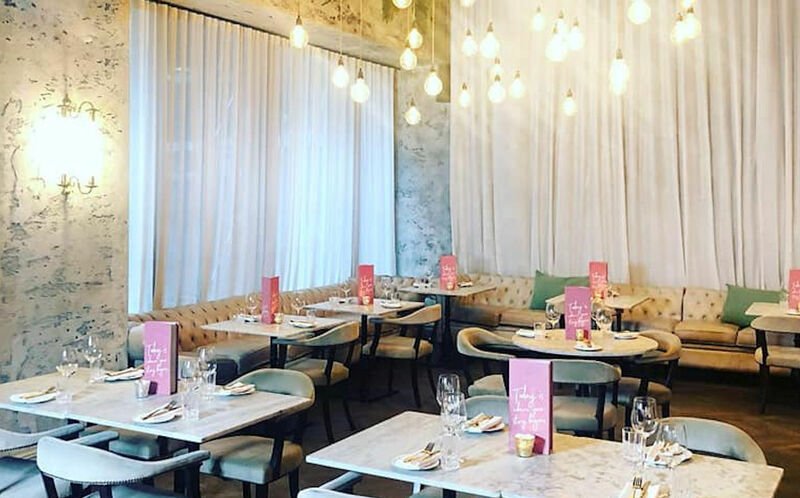 Indulging guests in Manchester’s must-see vibrant dining experience, Menagerie offers lunch, brunch, dinner and drink. 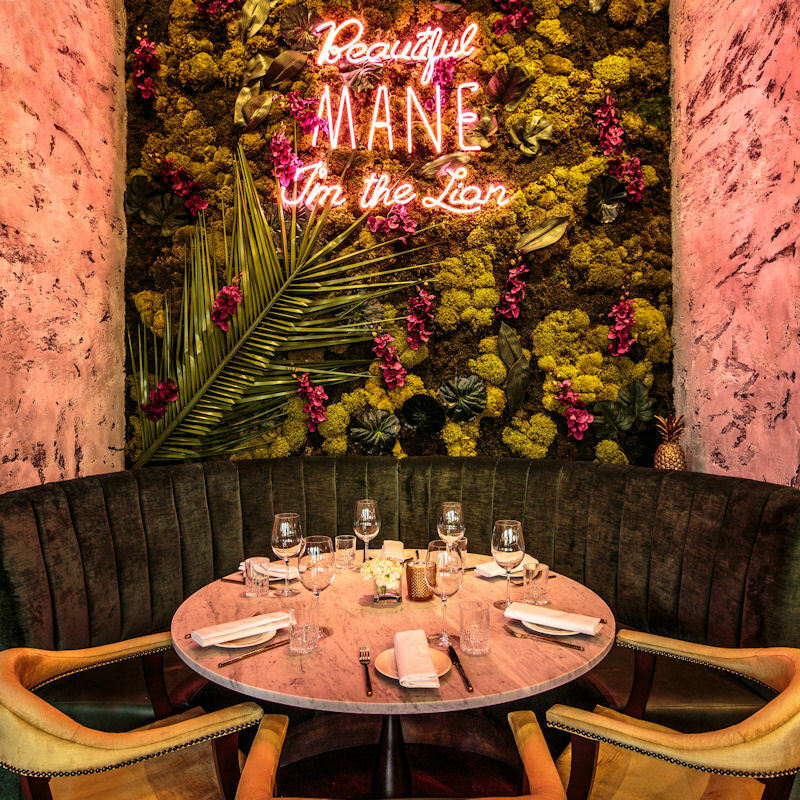 Opened in August 2016, Menagerie introduces experience at every level through beautiful bespoke cocktails, carefully crafted dishes , and warm, welcoming service. Highlights include weekend shows, featuring performers every Thursday, Friday, Saturday and Sunday (seven days a week throughout December). 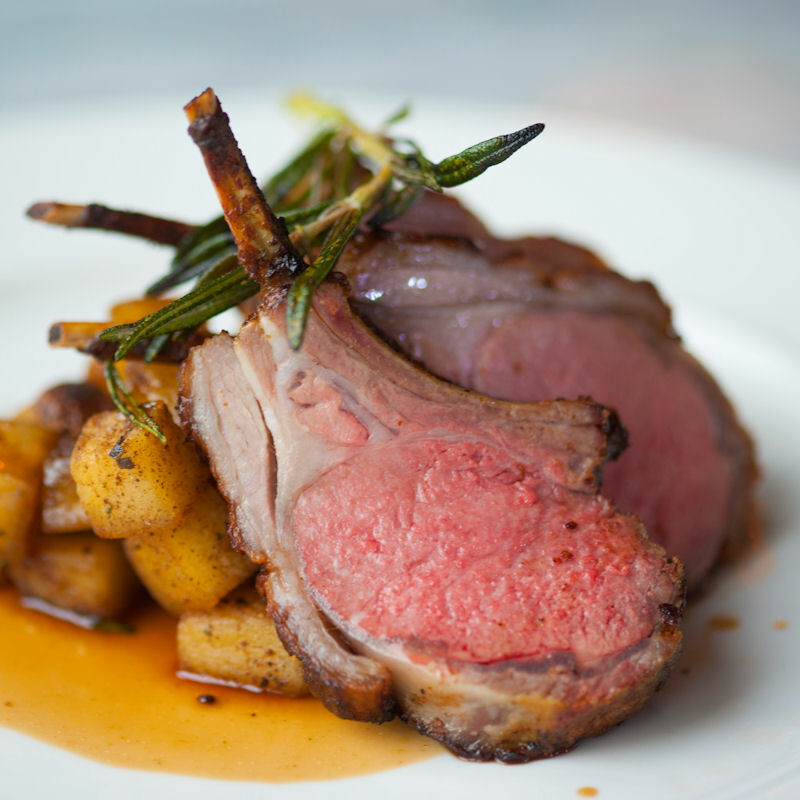 At Menagerie, dining is a relaxed sociable experience. 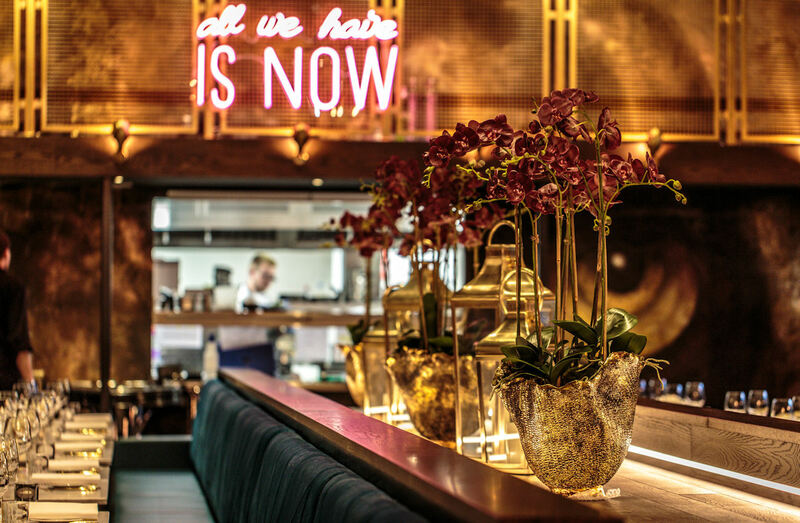 Offering different dining styles to suit the occasion, whether it be a business lunch, relaxed family dinner or a large celebration, there's a menu to suit. Featuring a United States interpretation of international dishes - each beautifully presented, fresh and delicious delicacies - you can enjoy them inside the stunning restaurant or on the terrace on a sunny afternoon. From sociable small plates to share, like XO Crab Doughnuts, Open Temaki Tacos, and Deep Fried Mac N Cheese, to salads, rice and pasta dishes, such as Chorizo & Chicken Jambalaya, and mains like gourmet burgers, Blackened Creole Salmon, and Lobster Rockafella, the wide choice of steaks and seafood are cooked in the wood fired grill. 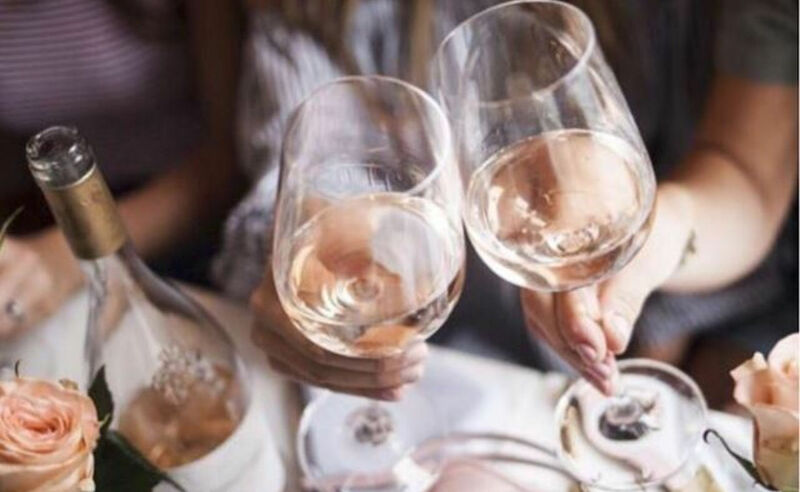 If you are looking to enjoy your favourite fine wine, but only fancy a glass, Menagerie also offer a Coravin wine access system, allowing guests to enjoy most of their premium wines by the glass. 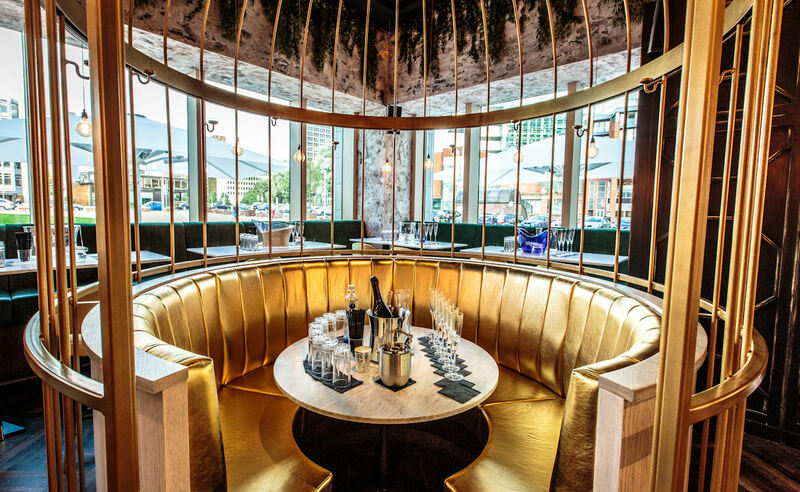 At the bar, you can enjoy Manchester’s finest selection of bespoke cocktails, premium spirits and a carefully selected list of wine and Champagne. Cocktail sharers for three or more guests are one of a kind, including the “Jealous or Crazy” Tanqueray Ten Rose Box sharer, and a Pandora’s Box Ciroc Grapefruit cocktail, served in a handmade Menagerie music box. Ménage à Trois indeed! 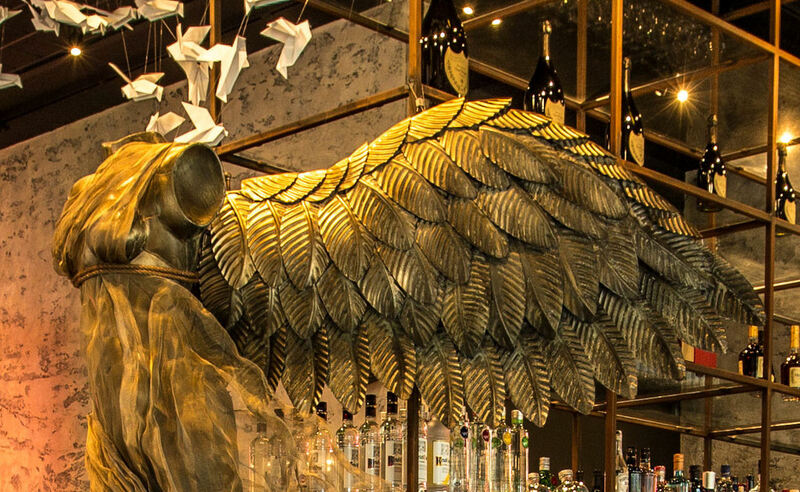 At weekends, the venue transforms into a party like no other, hosted by the Menagerie Angels. Guests enjoy an exclusive club experience with bottle tables available from 22.30 every Friday and Saturday. 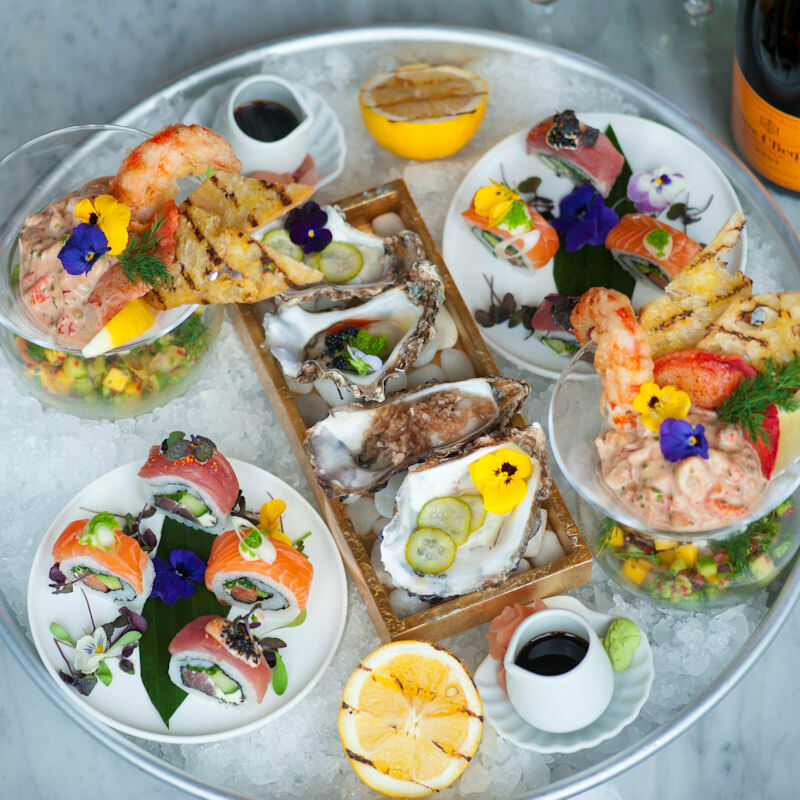 Feast upon the likes of Lobster Roll, Melted Cheese Sliders and Eggs Royale. 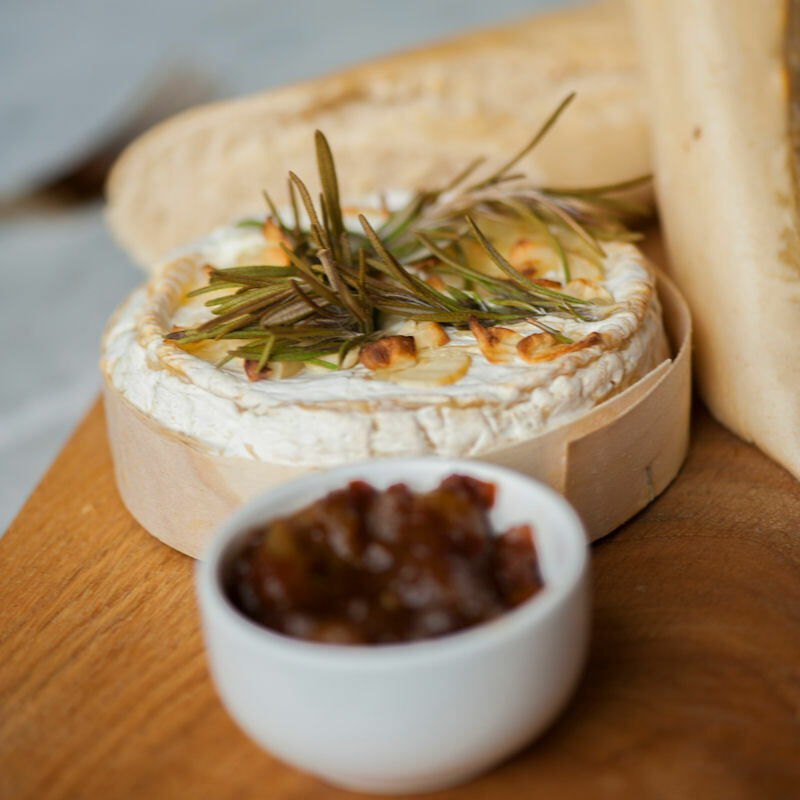 Choose one dish from the Lunch or Brunch Menu and a drink for just £9.95. Off to see a show? 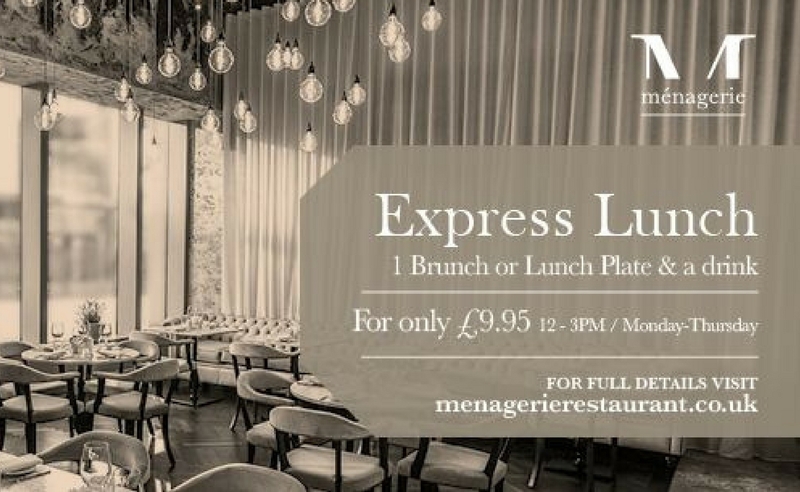 Enjoy two courses and a glass of wine at Menagerie for £20 when dining pre-theatre with a valid theatre ticket. Why not share your favourite fun fair treats with friends? 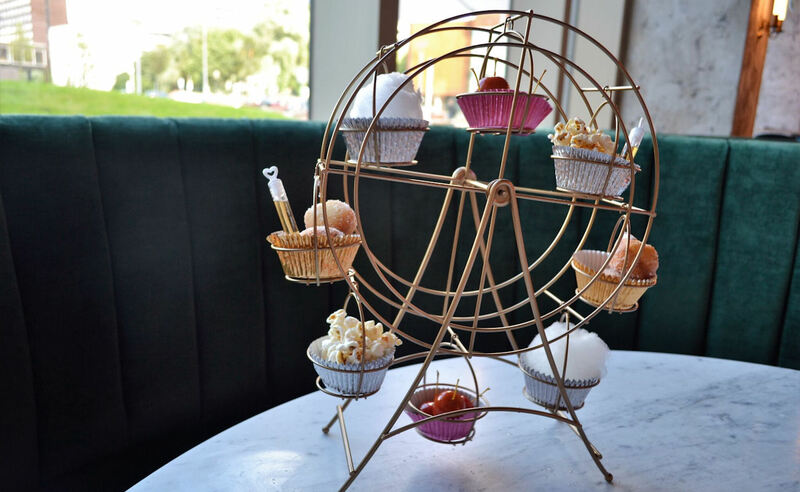 Enjoy Hot Frozen Dogs, candyfloss, doughnuts, candy apples, Coca-Cola bubbles and popcorn; all served on a ferris wheel for £16. What's a Saturday afternoon without Afternoon Tea? 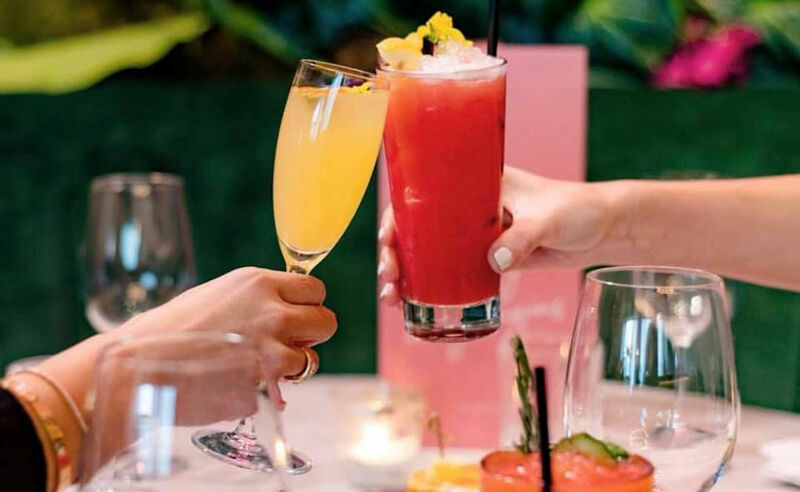 Indulge in a Traditional take on afternoon tea or a Menagerie style afternoon tea with a difference in the beautiful surroundings of Menagerie for £23pp or £33pp with a glass of Moët. 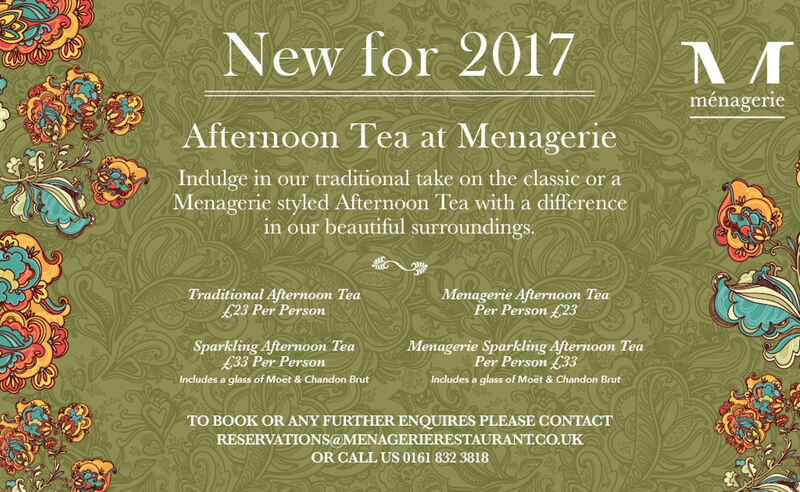 Call 0161 832 3818 to make a booking, or for more information, quoting "Afternoon Tea as seen on Restaurants of Manchester"
Because you don’t want the weekend to end! 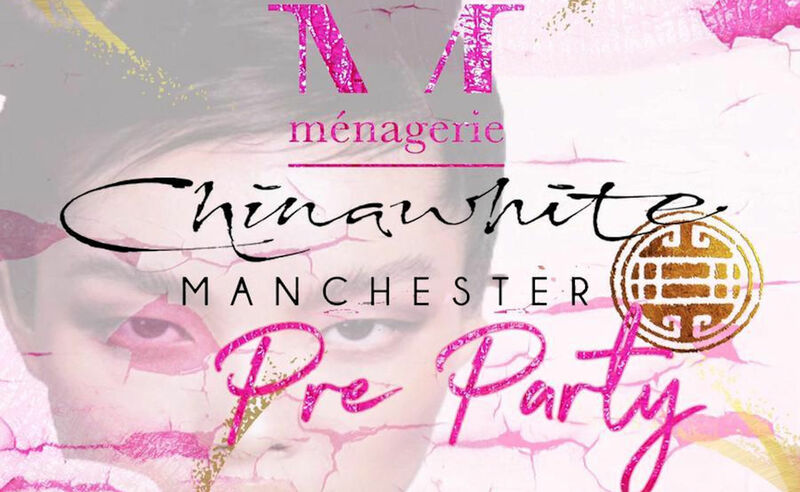 Dine and drink with Menagerie with 3 x Sushi/small plates for £20pp and 2/4/1 drinks from 20:00pm, then dance the night away at China White exclusive ‘invite-only’ till the early hours. 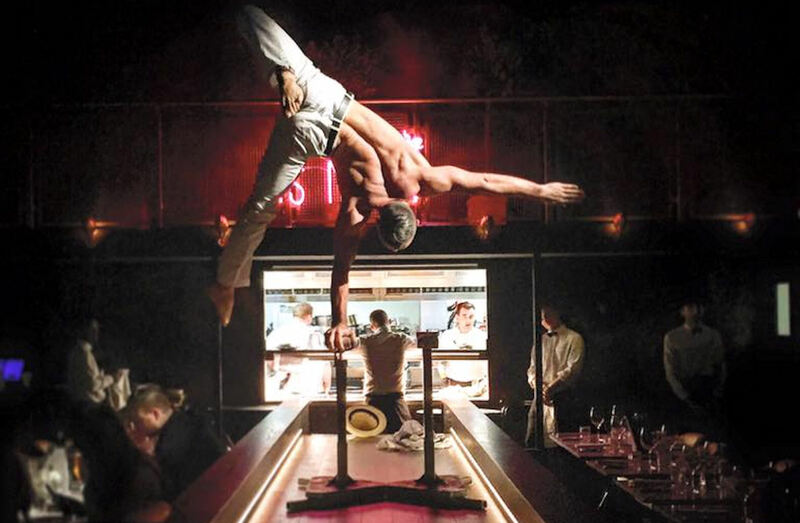 Menagerie features live performers every week, showcasing dancers, acrobats, singers, musicians, drag acts, burlesque artists, and contortionists on the catwalk. 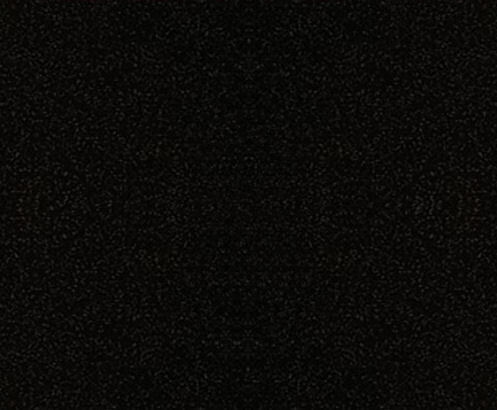 From 18:00 on Thursdays, 19:30 Friday & Saturday & 16:00 on Sundays.